In just a couple more weeks we will be flocking to our favourite malls and retail stores as they officially open this year’s holiday celebrations. As of this writing, millions of parents, grandparents, aunts, uncles, godparents, and elder siblings are already starting making their list of what cool stocking stuffers they could get for their favorite young girl in their lives. We know how it feels like because we are parents, too. Every year, we have to make our own Christmas stocking stuffer list for our children. And if we have girls in the house, then it becomes quite challenging as the choices are simply an ocean-full. Here are 20 of the top stocking stuffers we’re confident any girl will love. This page has been updated to include the most up-to-date products on the market, additionally various content throughout this page has been updated for optimal readership. All products on this list has been picked considering our new higher standards for Criteria. Be safe and cool at the same time when riding a bike with these super awesome LED lights for the bike’s wheels. The lights fit right on the rim of the wheel and are easy to install, no tools are even required. Being the hottest new trend in the bike industry these lights will fit any rim from a toddler sized bikes to full-sized adult bikes. Provided is an easy to follow video that shows you how to install the lights. It is simple. These lights are long lasting, super bright, awesome quality, and waterproof, plus the batteries are already included. So just install and off to a safer more stylish ride you will go. Benefits – Riding a bike has many health benefits as well as supporting a lifestyle that we should all promote with our growing children. These lights not only make the bike look awesome but also provide a safer ride in low lighting conditions. What We Like about It – Riding bikes is such a fun family activity and these just add to the awesomeness of it. The lights address a safety concern that every parent has, plus they look super cool on the kids’ bikes. This is the beautiful real wooden puzzle piece that transforms into a cute princess musical box. The set includes 118 pieces for the puzzle that are top grade high quality and environmental friendly. When assembled the top section rotates around and plays Swam Box music. Girls will have a great time building this and then watching their finished product spin and sing. This is a great kid safe stocking stuffer for any little girl. Benefits – Putting puzzles together is a great activity for girls. 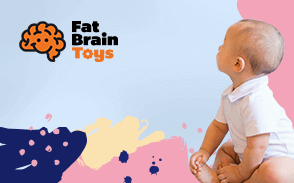 It promotes fine motor skill development along with encouraging the cognitive growth. But a better way to spend a Christmas morning than building a fabulous music box with your little girl. What We Like about It – Giving your kids a high quality present that also required some hands on activity makes it so much fun. This puzzle not only challenges their hands but their minds as well. One really cool stocking stuffers for girls is the Spa Hair Chalk Pens. You know how young girls and pre-teens love to put on accessories, right? Now, they don’t have to go with you to the hair salon to have their highlights, they can do it on their own or with their friends. These chalk pens are made of safe materials that can be easily washed off with her favorite shampoo. Application is very easy, too. She only needs to grab a handful or some of her locks and gently glide the tip of the mess-free chalk pens. She will now have a really great-looking crown. What’s really great is that your girl will be able to sport different hair color styles every day. Benefits – Give your little princess the gift of creativity! She can express herself without it being permanent. These fun and easy to use spa hair chalk pens are washable and hypoallergenic. Teach your little girl sharing and creativity by using these pens in a creative way with friends and family. Ready to use of the box. Some adult supervision is required. Lasts until next hair washing. What We Like about It – If creativity is what you would like to inspire in your young lady, then this is one great tool. At least, she’ll also feel more confident about herself and derive a sense of accomplishment. If you have a little young princess, then you know how much fascination she gets from coloring her drawings as well as the images on her coloring book. Add a little excitement to her coloring adventures by giving her the Artist Studio. This set of 10 glitter gel pens can really spark your kid’s imagination as the ink glides seamlessly and effortlessly on any type of drawing paper. The smooth tubular body of the gel pens is just right for your girl’s little hands so there’s no danger of slipping or even too bulky a pen. This can really make for an interesting and cool stocking stuffers ideas for girls. Benefits – Treat your little princess to these wonderful glitter gel pens. She can enjoy being creative in any project, letters, drawings, or invites. Enjoy these brightly colored and long lasting glitter gel pens that write on almost any medium. We also appreciated how well these pens fit our little princess’ hands and comfortably too! Easily and comfortably fits kids’ hands. Assorted glitter gel pens included. Fuels your little girls creativity and imagination. What We Like about It – The Artist Studio is just perfect for helping children really explore their creativity. For young kids, it’s the perfect tool to help enhance or even let them master the intricate art of coloring. Scratch Off Mini Notes + 2 Stylus Pens: 150 Sheets of Black Note Paper with Silver Hologram Glitter pattern for Kids Art and Craft Projects, Doodling & Lists – Unique Gift Idea for Kids or Anyone! Novelty cards and ways to leave messages for all your best friends will be loved by any girl. This set features rainbow glittery holographic paper that has been covered with a black matte finish. When they use one of the two styluses that have been included with the set to write the message on the paper it scratches away the black finish and displays the awesome rainbow below. This creates one of the coolest notes ever. Included are 150 pieces of the special paper that are super high quality. The paper is thick and of card stock quality. What a better gift than this cute and shiny message fun center. Benefits – When girls are able to write and compose cute little notes for friends and family it is a great way to build self-confidence and also share that message with others. The design of these cards with the glittery rainbow design below is sure to bring a smile to the faces of many, plus scratching the message is super cool too. What We Like about It – Cute, friendly, and a great way to help you kids leave special messages behind for their friends. The display box is great and makes a great display for any little girls’ desk or dresser. The surprising finish at the end of this fast-paced and kid-friendly card game will surprise your little girl. Each round of the game the goal is to discard your cards before anyone else, but the surprise comes at the end when the last three cards are displayed. This means everyone will need a little strategy and lots of luck. The game is designed for 2 to 6 players with ages over 7 years old. It is easy and fast to learn with a great demo video that can be played on your smartphone. Each round takes about 10 minutes to complete. This is a great game for slumber parties and girls night get together. Benefits – Spending quality time with friends and family is a great way to build and maintain long-lasting relationship. Building quality relationships is a great way to enrich the quality of your child’s life. Game nights are not only good for the mind but good for the laughs, too. What We Like about It – Fun family games are sometimes hard to come to these games. The special surprise at the end of this game makes it fun every time you have a chance to play it. Instead of giving your young girl a lipstick to apply onto her lips, why not get the Holiday 2015 Limited Edition Decorative Lip Balm Collection? Each set comes with 3 lip balms that are guaranteed to be made of 100 percent natural ingredients, 95 percent of which are grown organically. Your young girl can have a choice among raspberry, sweet mint, and pomegranate masterfully contained in a vanilla bean style of canister. At least, should the lip balm be completely used up, the whole set can be turned into a collectors’ item perfect for display. If you’re looking for a really ingenious Christmas stocking stuffer, this is one you can give. Benefits – Be the hero this holiday to your little princess with this decorative lip balm set. Unlike other lip balms on the market, this limited edition decorative lip balm is made naturally just like for grownups! With this gentle and organic lip balm, your little girl will learn life skills about health and beauty. Decorative and limited edition box and lip balm. Each set comes with 3 limited edition decorative lip balm. What We Like about It – The natural ingredients used in the formulation of the lip balm means there’s no danger of irritating your kid’s sensitive lips. This should help moisturize your young girl’s lips. It’s never too early to teach your kids about certain crafts that take skills. This is why we have included the Professional Sewing Supplies Kit in our top 20 list of the best and most popular Christmas stocking stuffers for girls. All the tools she will ever need are conveniently stored in a beautiful leather case. It contains 18 spools of polyester sewing thread, metal thimble, an assortment of needles contained in a needle holder case, measuring tape, stainless steel scissors, and a seam ripper as well as other tools she will ever need to initiate a sewing project. It’s the perfect gift for those who have a whole wardrobe of costumes as you can never really anticipate any wardrobe emergency that might occur. This is your girl’s emergency wardrobe malfunction first aid kit. Benefits – Your little girl scout or princess will enjoy including this kit for camping or survival training. Very useful for fixing tents, sleeping bags, jackets, shoes, zippers, backpacks and more. Build confidence for your little princess with this professional sewing supplies kit. By learning to fix and reuse the items we love, we are helping the environment and lessing our carbon footprint. Professional sewing supplies kit with everything you need. Fix anything on the go. What We Like about It – The completeness of the different hand-sewing tools is remarkable. It should help your young girl to master the art of sewing while also enhancing her manual dexterity. If you have a daughter or a niece who simply loves doodling and then coloring them later on, why not just give her the Artist Studio Metallic Colored Pencil Set instead? This set of 12 comes in very unique metallic colors to provide your young girl all the opportunities to create something really spectacular. Best of all, she doesn’t have to draw separately before coloring as she can do both at the same time – draw and color. Now, just imagine what this can do for your child’s creativity and imagination. Benefits – Your little princess will love these metallic colored pencil set! Every artist needs these metallic colored pencils to complete their art supplies tools. She will enjoy being able to write on most media and have access to rare colors not usually found in standard color pencil sets. This gift is one your favorite girl will be proud to take with her everywhere and show off! 12 metallic colored pencils in every box. Soft lead that sharpens well. Does not write on glass. What We Like about It – The Artist Studio is one unique gift you can give this Christmas especially if you have a young girl who simply loves drawing and coloring. What really amazed us is the metallic effect of the colors. Most coloring pens are drab. But not this one. Studies show that listening to music can enhance certain activities of the brain while also improving the overall functioning of the other organ body systems. Playing music greatly doubles these benefits because the individual is actively engaged in the creation of music. The problem is that musical instruments are large and bulky. If your girl is musically-inclined, then give her the Harmonica. It’s small, compact, and lightweight so your young child can literally bring it and create melodies anywhere. The green valves are made of plastic and are sandwiched in 2 silver plates. If you get this as a stocking stuffer, we promise you your kid will definitely be showing her showmanship in an instant. Benefits – Playing music will enable your little princess to use both sides of her brain! She will be happy making the music that’s in her heart and soul and at the same time building and expanding her neural network for tasks later in life! Children that have music in their lives are healthier and happier later as adults. Music teaches discipline, confidence, creativity, imagination, and sharing. Fun for ages 3 years and older. Cleaning recommended after each use. Spontaneous random acts of music! What We Like about It – The Harmonica is perfect for encouraging your child to explore the wonders of making music. It also helps encourage creativity while building her self-confidence in performing in front of an audience. Have you noticed your young girl’s lips getting dry and cracked more often than you would like to? Instead of giving them ordinary chap stick and in keeping with the spirit of the holiday season, the best Christmas stocking stuffer you can get is the Chap Stick Candy Cane. Its peppermint flavor should provide soothing relief to your kid’s lips. Besides, it’s designed like a candy cane except for the hooked end of the cane. Benefits – Keep your favorite princess lips healthy this winter season and festive with this seasonal peppermint flavor! Chap Stick has been protecting the easily forgotten but sensitive skin we have on our lips for decades. No need to worry about any dyes or tint. This lip balm is clear and made with our favorite flavor Chap Stick makes! Clear, no tint or dyes. Keeps lips soft and hydrated all year long. May require supervision for kids under 6 years of age. Heat sensitive. Do not leave in direct sunlight. What We Like about It – This Chap Stick is one unique stocking stuffer your kid won’t really expect. Nonetheless, it’s very useful in keeping your kid’s lips moist. Happy Owl Mini Purse, Cute Pink & Grey First Handbag For Little Girls, 100% Handmade, Natural Soft Cotton, Highest Quality Crochet, Great 3, 4, 5 Year Old Girl Gifts, Perfect Birthday Present! Special and one of a kind, kinda gift. It will make your little girl smile each time she picks this crochet pink and purple handbag. The handbag has been crocheted out of natural and super soft cotton thread. Each of the bags is handmade, making each of them unique and super cute. There are no zippers or closures for little hands to get to get frustrated with. This is the best accessory any little girl could get on Christmas morning. Benefits – Using a purse or handbag is a great way to help your little girl develop strong fine motor skills. Opening and reaching into the handbag to find what you need is a great way to build hand dexterity along with tuning in those fine motor skills. What We Like about It – It is so soft and cute. This handbag is perfect for your little girl. It is easy for them to put their items in and take out, plus it just simply puts a smile on their face when they see it. With an ergonomic design and specially-engineered detangler technology, the Glide Thru Detangling Brush is one of the best Christmas stocking stuffer you can get for your older children, especially if they are very conscious about their crowning glory. The bristles of the Glide Thru have been designed in various lengths to allow for the more efficient detangling of hair strands by gently separating each hair strand sideways. The bristles are also designed to be friendly on the scalp which can serve as a massager so your child will be more comfortable brushing and detangling her hair. Benefits – The best combination of technology and health and beauty are met in this simple looking brush. This brush is great for all hair types and lengths. To keep your little princess’ hair looking her best why not keep her ergonomic health is mind when she’s brushing her hair several times a day! Some girls brush their hair hundreds of times in a day. Studies have shown repetitive tasks with poor ergonomic design can have adverse effects to health in the long term. Start great health and beauty today with this glide thru detangling brush. One size fits most kids hands. What We Like about It – The varying lengths of the Glide Thru is amazing as it does help in untangling hair strands. The bristles are soft, too. We found it quite relaxing to just glide it through our scalp. One of the most enduring toy balls of all time is the Magic 8 Ball. It’s so popular that it has seen a lot of toy companies trying to copy its formula for success. Unfortunately, there’s only one original Magic 8 Ball. And this is one you need to give your child as a stocking stuffer this Christmas. The Magic 8 Ball features 20 possible replies or answers to your kid’s questions. It’s super easy to use. You ask a question, turn the ball over, and get the reply to your question. It’s so effective that there have been Magic 8 balls designed for the business and financial sectors. Benefits – Always a favorite gift for any occasion! Teaches your little princess not to take life too seriously while also helping her answer questions no one but the Magic 8 Ball knows the answer to. We know this toy is for entertainment purposes only but no one can resist taking a turn to ask questions. What We Like about It – It really is an ingenious way of making decisions. At least, it will help you save the headache of deciding. Your child will love the Multi Voice Changer. It has the ability to electronically change the voice of your kid and turn it into hundreds of totally unique and remarkable voices. With a press of a button and a few tweaks to the different control levers and your kid will be creating the voices of a robot, a zombie, an alien, or even an old man or woman. There a 10 preset voices in the Kangaroo which can then be adjusted accordingly using the frequency and amplitude controls on the side of the voice changer. This can have very amazing sound effects and if your girl is in a school mini production, then this Christmas stocking stuffer will surely get the job done. Benefits – We loved that our princess used this for Halloween, birthday parties, plays, and videos. Cultivate creativity in any number of hobbies and interests she may have. This technology allows little girls who may want to work in commercials, or theater, or movies, practice their talents and dreams. Also this toy teaches discipline, patience, respect for others, and sharing. Cultivate creativity, imagination, and more. 10 preset voices preloaded with frequency and amplitude controls. What We Like about It – The sound effects the Kangaroo makes is simply superb. It comes in a variety of colors, too. So better check which one is your kid’s favorite color so she’ll be doubly ecstatic. The Slinky has been around for more than 7 decades and it’s still one of the favorites when it comes to Christmas stocking stuffers. And why not? Just tip the Slinky on the edge of your stairs and watch it walk down the steps on its own with its signature wiggly movement. Or, your little girl can just play with the Slinky in her hands and watch it spring to action from one hand to the other. Its accordion-like movement never fails to amaze people. Benefits – We loved playing Slinky with our little princess. Teach your favorite girl about gravity, physics, creativity, sharing, and taking turns. Once you have this Slinky moving, it’s very relaxing, hypnotic, and beautiful to watch. This timeless toy requires no batteries or electricity. In a fast digital age return to the basics with this Slinky gift! Great to use alone or in groups. Not for ages 5 years or younger. What We Like about It – It’s a classic. At least, your girl will have something to while her time or even as a stress buster after a long day in school. One of the essential grooming activities that girls have to learn is how to put on a makeup. Now, we’re not saying you have to teach them by giving them your makeup it. A much better approach is to give them the Cutegirl Cosmetics Pretend Play Makeup Kit. It’s a playset that comprises of a lipstick, a nail polish, a blush, an eye shadow, and many more. Don’t worry because it doesn’t contain any chemical at all. It’s made of high quality plastic that is styled to be as realistic as possible. Benefits – Your favorite little princess fashionista and makeup artist will love having her own makeup to play with instead of using yours! Specially designed to look and work just like real makeup she apply but for young girls. This is a great makeup kit to teach your little girl what makeup to use at work, school, on dates, weddings, and glamor. Everything you need for all your pretend makeup needs. Not for girls 3 years old or younger. What We Like about It –The Cutegirl Cosmetics, as the name implies, is excellent for fostering role-play in kids. It helps them train or practice on how to put on makeup without fear of chemicals. Best of all, it’s good for their imagination. Tired of the usual tubular lip gloss? Get the Cupcake Lip Gloss and you’ll see why a lot of parents are considering this as a stocking stuffer. The ingredients in the lip balm are FDA-approved so it’s safe. The designs are cute, too. Benefits – Be the hero of your little princess’ holiday with these cute, flavorful, and healthy lip balm. She can coordinate the color of her outfit to her favorite cupcake. These cupcake lip gloss are great for pretend tea parties or bringing with her to play with her friends. This lip gloss also teaches responsibility and collecting. Lip balm and plastic is FDA Safe. Great for cultivating creativity and imagination. Not recommended for kids 3 years and younger. What We Like about It – The design of the Cupcake Lip Gloss makes it ideal as a gift for Christmas, Easter, birthdays, and other special occasions. And since the materials are FDA-approved, you’d feel much safer giving it to your child. Remember those large colorful ladies’ sunglasses of the 60s? Well, they’re back and this time they are bound to make the dreams of many young girls real this coming Christmas. It comes with a patented XtremeUV technology guaranteeing 100 percent UV protection as specified by the UV400 standard. Plus, it comes in different pastel colors making them ideal for kids. Benefits – We choose these sunglasses for this list because we love gifts that are also good for your health too! Give your favorite princess in your life the best year-round accessory with these Kids Soft Frame Sunglasses. She will be the envy of all her friends and family at the same time protecting her young sensitive eyesight! Several pastel colors to choose from. Not for ages 2 or younger. What We Like about It – Retro Rewind’s sunglasses are a huge hit especially for its gradient and non-polarized lens and durable plastic frame. It does remind you of the good ol’ days. Foster your kid’s storytelling abilities with the Finger Puppets Finger Toys. This set of 5 finger puppets have an elastic inner lining so they snuggly fit around your kid’s fingers. It won’t irritate them as the material is velvet. There are 5 different sets to choose from so you can choose the one that best represents your kid’s preferences. Benefits – Your little princess will love these wonderfully cute Finger Puppets. Get her one or an entire set! These finger toys teach creativity and imagination too! She can share and set up a play with friends or do a puppet show all on her own. Great for making her own home movies, or cheering up family or friends. Several sets to choose from. Not for ages 4 or younger. What We Like about It – It’s one of the most fun Christmas stocking stuffer in our list. Great for encouraging the enhancement of your child’s storytelling abilities, too. In an age of technology and digital distractions everywhere the usual go to for gifts is something with batteries or needs recharging. We need to teach our younger generation that yes technology is a tool but we can cultivate creativity, imagination, problem solving, sharing, taking turns and more. Also, we researched toys that were also designed to be educational and not just for play. We chose the items on this list with several factors in mind. Girls usually do not get the same toys or gifts that boys do. To equal the playing field we choose gifts that stimulated creativity, problem solving, constructing, and technology. Our responsibility is to help parents make the right choices for their kids. And to help adults make the right choices for gifts for the little princess’ in their lives. Our list has a range of choices from basic color pens and markers to voice changers and sewing kits. We worked hard to ensure girls of all ages and skill ranges were covered. Also, we kept in mind the many different interests and dreams she may have so we made sure to list a variety of gifts that will stimulate different ages and abilities. The best part of this list is you usually do not require batteries or a charger. Enjoy most of these gifts wherever your princess goes. The majority of the research for this list was based on educational and creative play. These skills children learn in these early formative years are the basis for their personality and ability into adulthood. Studies have shown creative problem solving and using both sides of your brain allows for more opportunities and jobs later in life. By improving and providing our younger generation well rounded skills to use their brain to their full potential, we ensure the women of tomorrow will have opportunities women of the past never had and improve our society as a whole. We are not Santa but we sure do have an idea of what to look for in the perfect stocking stuffers for girls. First, we had to look for something really cool, something that girls of a particular age would really appreciate and have fun using. If the product can help develop, strengthen, or enhance a girl’s psychosocial, emotional, and cognitive abilities, then we had to consider these, too. This is especially true if the stocking stuffer is classified as a toy. We had to make sure it is developmentally appropriate. Of primary importance is what these stocking stuffer do for kids, especially girls, of a certain age. Then, there’s also the issue of safety. The product must have safety features or, at least, made of safe and high quality materials. We also read countless of comments and feedbacks from individuals, parents like us who would like nothing less than the best to give to our children. We wanted to know their experiences with these products and how their respective children accepted and used them. Lastly, company reputation is a must as this gives us an idea of their manufacturing practices whether they adhere to safety protocols and subject their products to strict evaluation and testing from recognized federal and international testing organizations. This way we are confident that the products are safe to use especially those with electronic parts. Hopefully, you will find our top 20 stocking stuffers for girls truly beneficial in your own search for unique products to give them this Christmas. Please make sure you read our stocking stuffers for boys post to find more great gift ideas this christmas. We all know that the holiday season is the most anticipated time of the year by kids. For twelve months many have strived to do good both at home and in school. Some even excelled in their academics proving that their cognitive abilities deserve a reward. Christmastime is one of the best times for giving out rewards to children. It is what they have been waiting for all year. You can just imagine how they would feel if they didn’t receive any gift or even a reward for all their efforts in the past 12 months. Their self-esteem may be bruised and this can lead them to not persevere anymore. For us adults, it is like bribing our kids to do something that they would otherwise not want to do. However, kids don’t necessarily see it that way. For them, everything is all a matter of cause and effect. They know that if they do good, they will be rewarded. If not, then there is no reward. It is as simple as that. As such, it is important for us to provide them even small tokens of their effort for the past 12 months. Besides, we do get our Christmas bonuses from our employers, don’t we? So why can’t our children receive theirs, too? Christmastime is for children. Be it large or small, it is better to give something that children will really appreciate. This way they will feel that they are loved. And this, we believe, is the most important thing of all. Q: I am concerned about the noise on an airplane. Will the sound on the Play+ Kids Headphones by Snug be loud enough to hear on an airplane? A: Yes! These headphones are engineered to protect your child’s hearing from inside and out. Q: Will these Play+ Kids Headphones by Snug fit my 2 year and 11 year old? A: Yes! They adjust for a 2 year old, 11 year old, and even fit a 24 year old as well. Q: Is the Glide Thru Detangling Brush by Crave Naturals good for long curly hair and sensitive scalp? A: Yes! Works great on very curly long hair and sensitive scalps. We’ve even used it on wet hair while deep conditioning. Q: How many coils does the Original Slinky Brand by Slinky have? A: 77 Coils. Each is 2.5 inch in diameter. When compressed it is 2.25 inches long. Q: Does the Cutegirl Cosmetics Pretend Play Makeup Kit by The Wonderland Company nail polish bottles open? A: Yes they do! There is brush inside but no liquid. Q: Does the Cutegirl Cosmetics Pretend Play Makeup Kit compact have a mirror? A: Yes, it does. But of course no messy makeup.